There may come a time when hundreds of thousands of people who use rails and roads to get from New Jersey into New York City won't have to endure major construction projects that complicate a journey already prone to crushing delays. It just won't happen anytime soon. The latest chapter of commuting hell begins in earnest Monday when 9-to-5ers driving into the Lincoln Tunnel will find a lane closed in each direction to accommodate the rehabilitation and rebuilding of an 80-year-old viaduct connecting the New Jersey Turnpike to the tunnel into midtown Manhattan. Click here for your Route 495 survival guide. 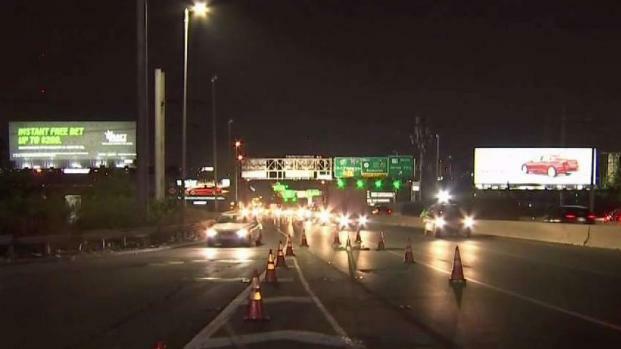 Workers started shutting down lanes on the 495 viaduct connecting to the Lincoln Tunnel in New Jersey Friday night -- and that means two years of headaches for commuters on both sides of the Hudson River. Michael George reporters from Union City. The work is scheduled to last about 2½ years and the lane closures are expected to endure for that long, 24 hours per day. New Jersey's Commissioner of Transportation, Diane Gutierrez-Scaccetti, whose department is overseeing the $90-million project, didn't sugarcoat what's ahead for the 150,000 or so motorists who cross the span each day. "We understand this construction, which is critically needed, will result in a tremendous amount of pain for everyone who lives and travels in this corridor," she said last week. Gutierrez-Scaccetti and Gov. Phil Murphy have urged motorists to join carpools, stagger their commuting times to avoid peak periods and take public transportation to ease some of the pain. Those choosing the latter option will find a rail system plagued by dozens of cancellations in recent weeks, many with little or no advance warning, due to an engineer shortage at New Jersey Transit exacerbated by required track safety work. -The refurbishment of the aging Pulaski Skyway (featured prominently in the opening credits to the "Sopranos" TV series), which closed New York-bound lanes from 2014 until this year. -Last year's "summer of hell" when track repairs by Amtrak at New York's Penn Station reduced train service from New Jersey and Long Island. -Ongoing work by NJ Transit to install positive train control hardware on tracks, rail cars and locomotives, which will contribute to more train cancellations until the end of the year (and possibly beyond). -The replacement of the Lincoln Tunnel helix, the curving downhill roadway that feeds into the tunnel. 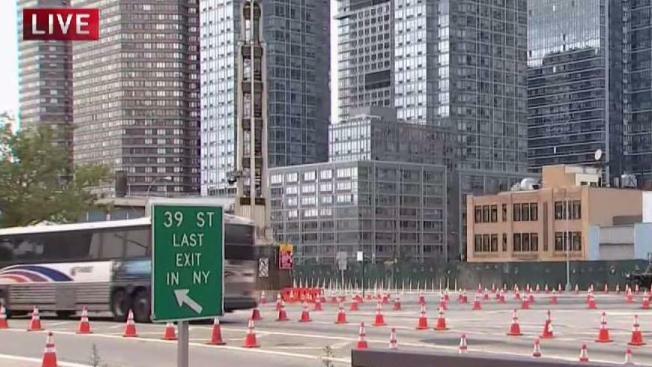 This project, overseen by the Port Authority of New York and New Jersey, is planned to begin in 2022, the year after the current lane closures are scheduled to end.